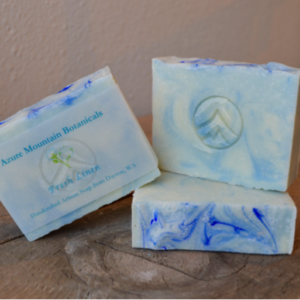 Azure Mountain ~ All Natural Handcrafted Soaps! 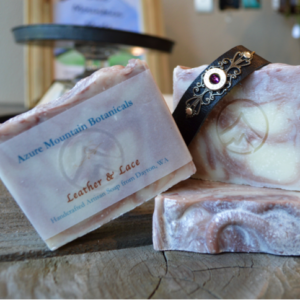 Art and Brenda have been making cold process soap for several years near the foothills of the Blue Mountains of Southeastern Washington. 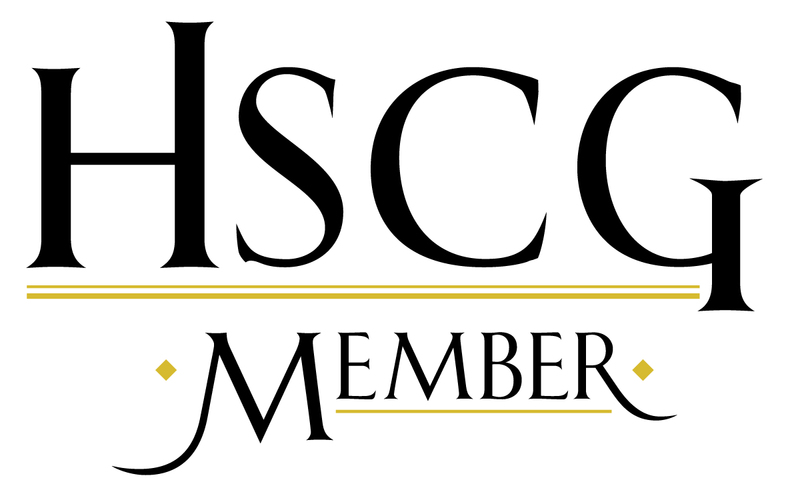 Each small batch is carefully prepared, often using herbs from their garden or other local sources. 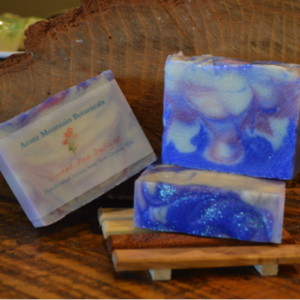 Only the best quality essential oils and fine fragrance oils are included in their handcrafted artisan soap. Rainy, salt mist and green. 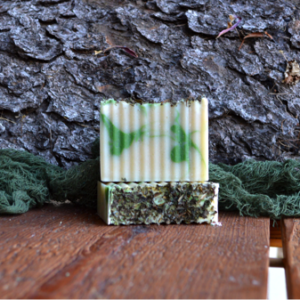 Celtic Myst Soap has a scent of basil, green leaf and ozone, with added notes of muguet lily, rose and jasmine for a touch of sweetness. Bottom notes of Sandalwood and tonka round out the earthy, coast like feel. 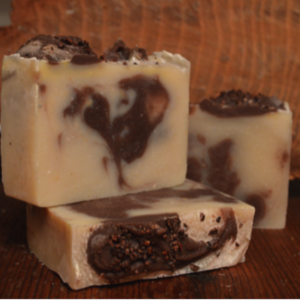 Cocoa Lavender Soap is made with olive, coconut, palm, shea, and castor oils, scented with lavender and chocolate, dusted with cocoa nibs. 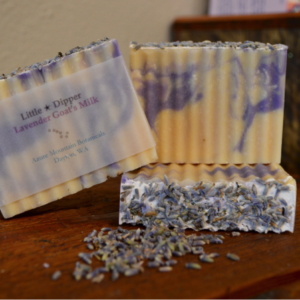 Little Dipper Lavender Goat’s Milk Soap is made with 100% Little ★ Dipper Dairy Goat’s Milk, olive oil, coconut oil, rice bran, palm, cocoa butter, scented with lavender essential oil. 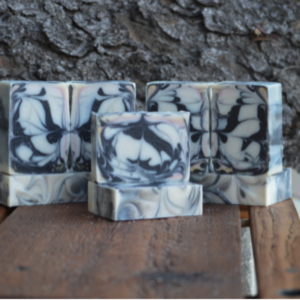 Luna Soap is fresh and clean with well-balanced natural notes. Top notes of bay leaf and fir needle mingle with cedarwood and bergamot to reveal a warm tobacco base note. 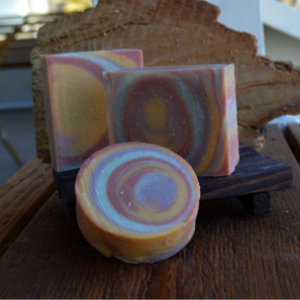 Sweet Orange and Tea Tree Soap – juicy, ripe, delicious, and sweet citrus blend with fresh clean tea tree in a beautiful bar topped with calendula. 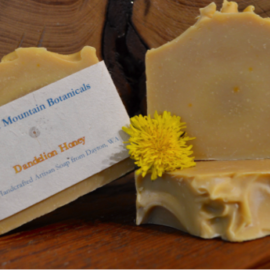 Reminiscent of the painted desert hills, this bar has an equal number of skin loving oils and a floral citrus blend. 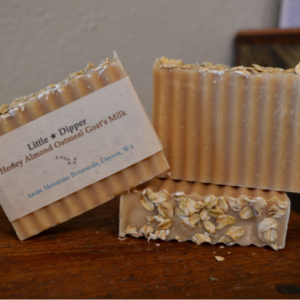 Little Dipper Lavender Honey Almond Oatmeal Goat’s Milk Soap is made with 100% Little ★ Dipper Dairy Goat’s Milk. Delicate Mediterranean Sweet Pea with top notes of Pineapple and Plumeria. Middle notes of Strawberry and Clover. 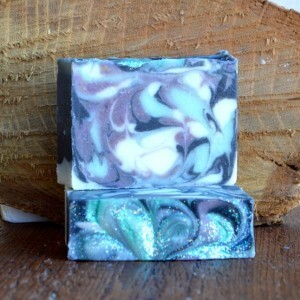 Bottom notes of a deep soft Musk and Sandalwood make this a delightfully light floral bar. Sundried Linen, a clean and fresh scent, reminiscent of laundry hanging on a warm summer day. 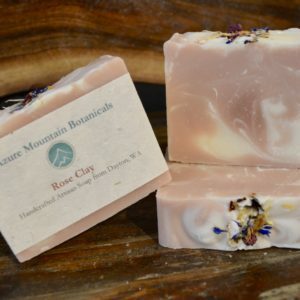 Rose Clay is a lovely bar with clean and purifying, mild Kaolin clay. Made with apricot kernel oil, castor oil, cocoa butter, jojoba oil, and an essential oil blend of Egyptian geranium, rose absolute, jasmine absolute, and topped with rose, cornflower, and calendula petals. 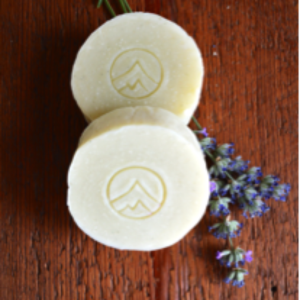 The soothing properties of the cucumber and the drawing power of the French green clay make this cucumber borage soap especially helpful for angry skin. The sea clay used in this Avocado Sea Clay Spa Soap Bar originated from mud laid down under the sea millions of years ago. 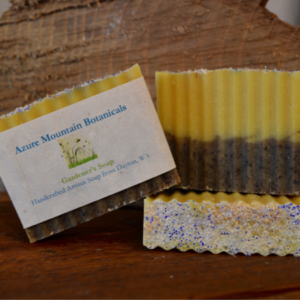 It has incredibly high purity, and is fantastic as a mild scrub. 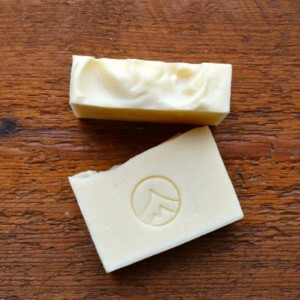 This soap bar is palm free and made with olive oil, coconut oil, avocado oil, cocoa butter, and castor oil. 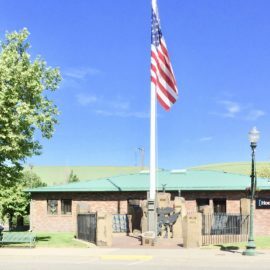 The essential oils used include lavender, geranium, and tea tree.